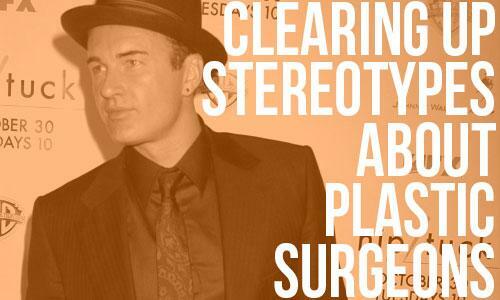 What’s the best age for plastic surgery? Fifty-two, according to participants in a survey of 3,000 40- to 65-year-old women in Britain. The survey also revealed that 29% would rather look 20 years younger than be a millionaire. Conducted for Saga magazine, the survey found that one in three women would consider plastic surgery and a fifth of women would get a facelift to combat the signs of aging, if money were no object. Of the respondents who would said they would not get plastic surgery, 29% would consider non-surgical procedures like Botox to keep them looking younger. Twiggy was identified as the celebrity who looks great over age 60. Dr. McKeown also said that he’s had an increase of people getting procedures done for work-related reasons. “When you’ve been in a company for a long time and have younger colleagues snapping at your heels, the last thing you want to do is look tired. The average age of my client is in their forties,” he said. According to the survey, women feel more pressure than ever to look young; 62% said they felt they are more likely to be judged on their appearance than previous generations. Around 5,000 people who work in the plastic surgery industry from surgeons to exhibitors will gather in Toronto, Canada this Friday for the annual plastic surgery scientific meeting, which will cover the hottest topics, technologies and research in plastic surgery. Plastic Surgery 2010, sponsored by the American Society of Plastic Surgeons (ASPS), is the largest international meeting of plastic surgeons and will feature the latest developments and trends in the industry. “Plastic Surgery 2010 is the complete plastic surgery experience featuring the latest information on cosmetic and reconstructive plastic surgery techniques,” said ASPS President Michael McGuire, MD. Liposuction During Tummy Tucks, Safe or Sorry? There will also be a Haiti Forum at which plastic surgeons will discuss their volunteer experiences following the January earthquake in Haiti. There are still many plastic surgeons actively engaged in the relief effort. The largest organization of board-certified plastic surgeons in the world, ASPS represents over 7,000 physician members and is recognized as an authority and information source on cosmetic and reconstructive plastic surgery.